Just before Christmas, discussion on the Steam Era Freight Cars YahooGroup was focused on box car roof paint failure. Many felt the overall effect was interesting, but far less common in the steam era due to more accumulation of soot on freight cars. Nonetheless, paint does fail, most noticeably on galvanized metal roofs. The above image is a portion of a 1943 Jack Delano photograph of the Milwaukee Railroad freight house in Galewood, IL. Of the nine box cars in the edited image, three of the roofs show signs of paint failure. The most apparent example can be seen on a car in the second row and second from the left. The two cars in the front row on the right side also show some paint failure. 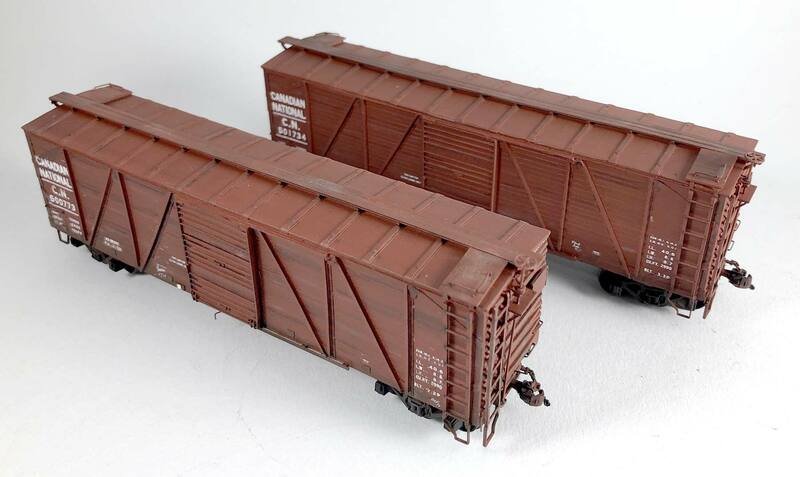 We invited modelers to share images and techniques to inspire others to add this detail to a few of their freight cars.